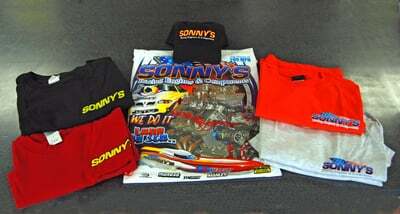 Sonny's T-Shirts are available in Ash, Black, orange, purple, white, and army green . Choose color and size below to order. Available in Adult Sizes Only. Order is for T-Shirt only, does not include Hat.